Mt. 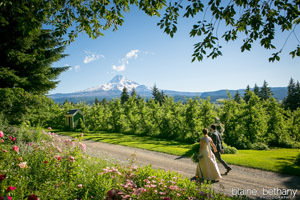 Hood Organic Farms is a magical place for hosting weddings. 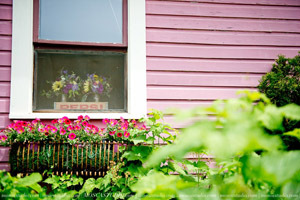 The farm creates the feeling that, for a day, time has stopped and rolled back to a different era. Our place is secluded, although just off the Mt. Hood Scenic Highway (Highway 35) and feels like a destination place without being commercial. The views and natural setting here are unique and spectacular, and the grounds and gardens are renowned for their beauty. People attending the event have the opportunity to roam around on our 200 acre park-like property, and love exploring the ponds, trails, and orchards. 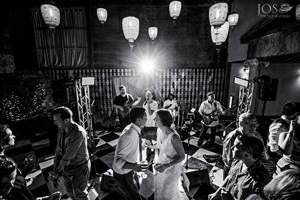 The event itself is set up so that it unfolds and moves through the grounds in a unique way that guests love. 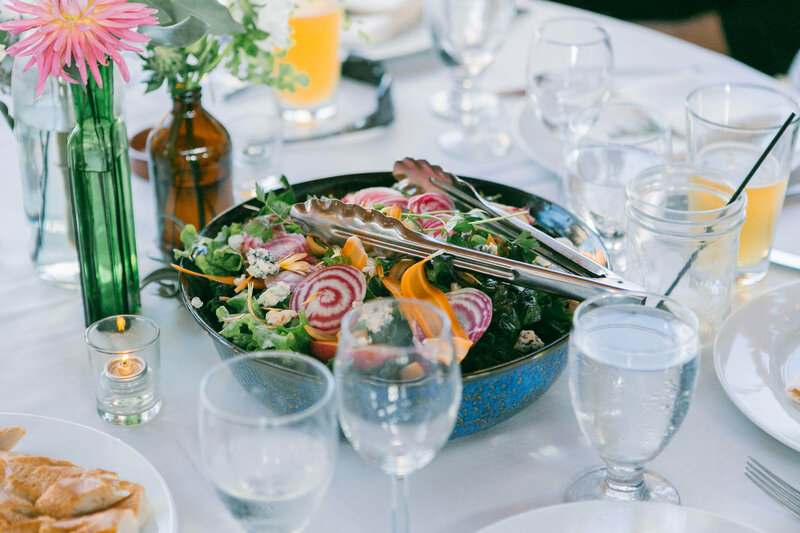 Historic architecture in a magnificent setting, coupled with fresh, seasonal farm-to-table dinners prepared by our our well-trained and incredible chef make for a most memorable event. 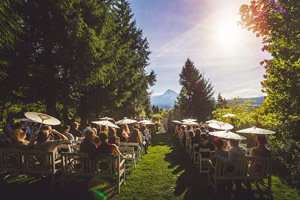 Dinners are served in our Apple House, a unique indoor/outdoor space with unparalleled views of Mt. Hood. Our staff is superb and the sense here is one of family and connection. 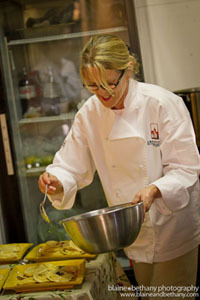 Our truly phenomenal chef is Ginger Power of Cultivate Catering. 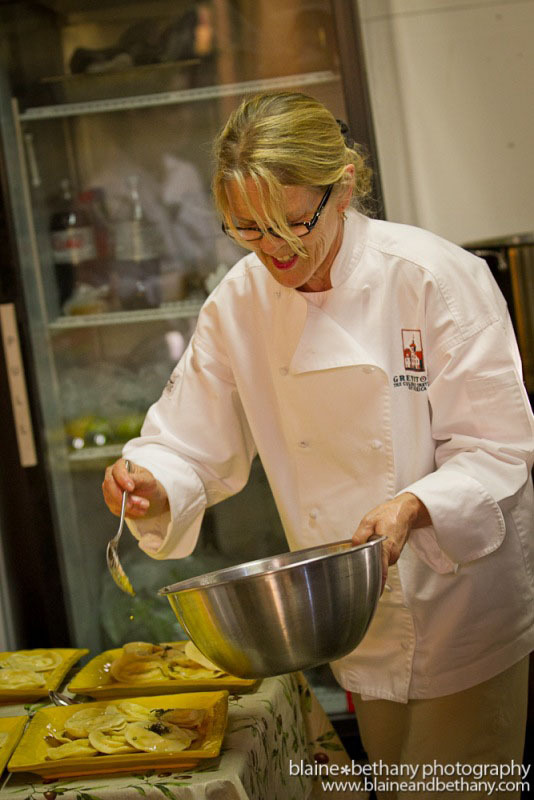 She is an experienced chef, trained in Napa Valley, who specializes in fresh, seasonal, local, organic, elegant food served family-style in courses. Perfect for bonding. Her beautiful food and extraordinary staff make for a reception to remember. You will need to contact her separately for sample menus and all food and beverage related costs. 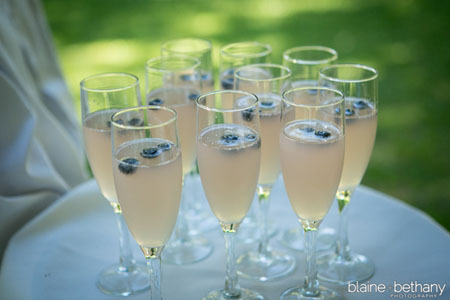 All alcohol is provided by the bride and groom, but served by Cultivate Catering bartenders. We require that you work with our day-of-event coordinator, Cassandra Cass. 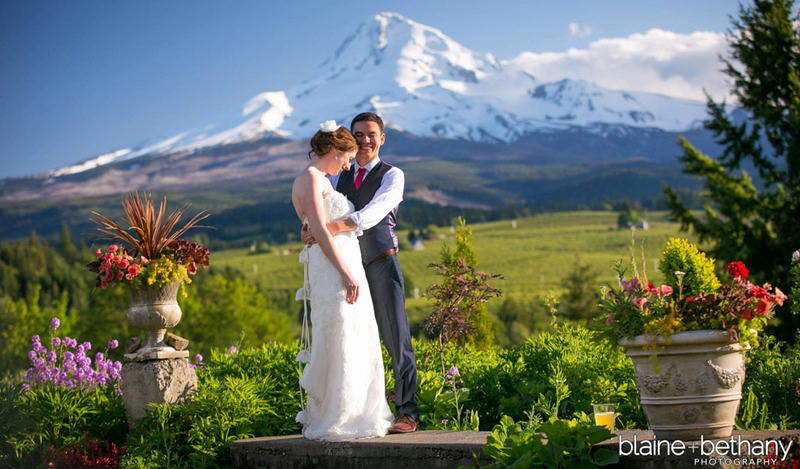 She has many years of experience gently guiding couples through all aspects of the event. 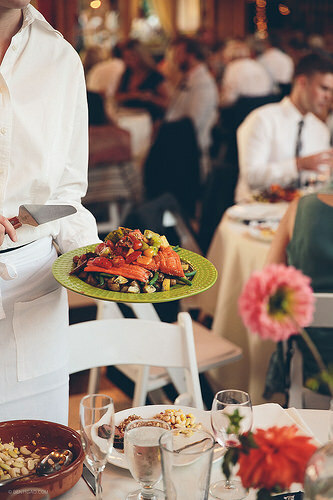 She is there to put your plans and decor in place, to keep the event running smoothly, to run the rehearsals, to coordinate your vendors, and to gather your things at the end of the evening. She makes your life as effortless and as stress-free as possible on your wedding day. She will provide you with an extensive list of resources and talk you through your choices and plans and become your biggest ally on your wedding day. She is a separate fee and you can find more information on her website. Click on the photos below to view photo galleries. 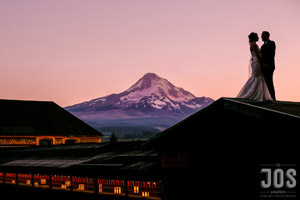 Click here for a list of all featured photographers. 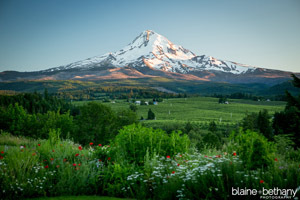 For more information on availability, tours, or pricing, please email Brady Jacobson at mthoodorganicfarms@gorge.net. Please do not call the Apple House for wedding information.